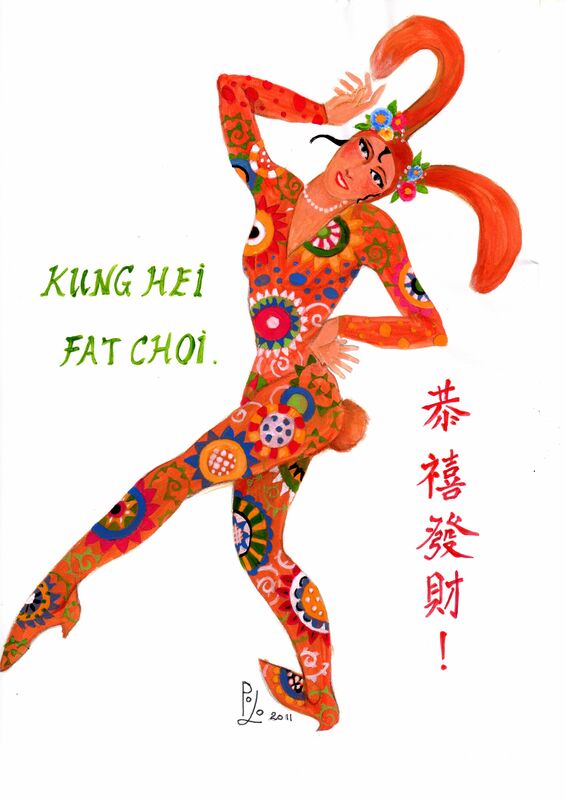 Chinese New Year is soon upon us and I’d like to wish all of you Kung Hey Fat Choi (or happy new year!). It’s the Year of the Rabbit following the Year of the Tiger. My friend artist Po Lo created the original artwork you see here. Po’s work is very reminiscent of Erte or Vargas. To see last year’s art from Po Lo: click here. Keep coming back as I will be discussing ways for you to harness Rabbit energy in the new year. Love the blog-the color is fantastic, inspiring and yet peaceful!! !